Governor Greg Abbott today delivered remarks at the Texas Women’s Hall Of Fame Luncheon. The Texas Governor’s Commission for Women at the Governor’s Mansion hosted the event. He recognized the 2018 Hall of Fame honorees for their accomplishments and thanked them for their contributions to the state of Texas. 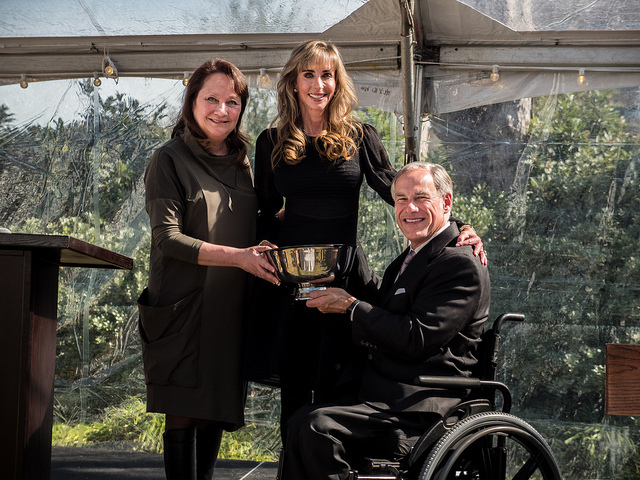 Following his remarks, the Governor joined First Lady Cecilia Abbott to induct the 2018 Hall Of Fame honorees. Please visit the Governor’s Flickr page to view the photos. About the Texas Governor’s Commission for Women: For over 50 years, the Governor’s Commission for Women has served as a resource and champion for women throughout the state of Texas. Today the Commission specializes in providing leadership through outreach, education, research, and referral services to advance the goals and initiatives of the Office of the Governor and the Office of the First Lady by focusing on Women-owned Businesses; Education through Science, Technology, Engineering, The Arts, and Mathematics (STEAM); Volunteerism; Women and Children’s Health; and Women Veterans and Service Members.